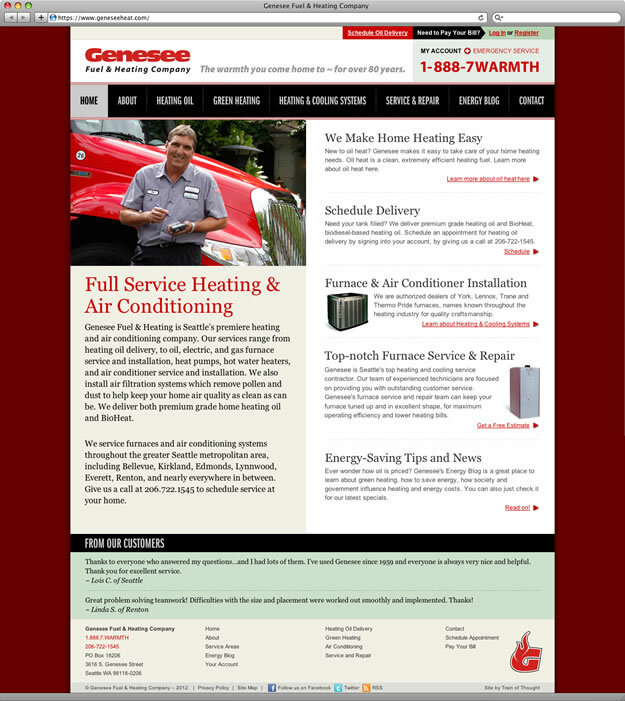 Genesee Fuel & Heating hired Train of Thought to redesign their website from the ground up, while also integrating a complex customer account management system with WordPress. We modernized the site design, while integrating an identity redesign mid-project. 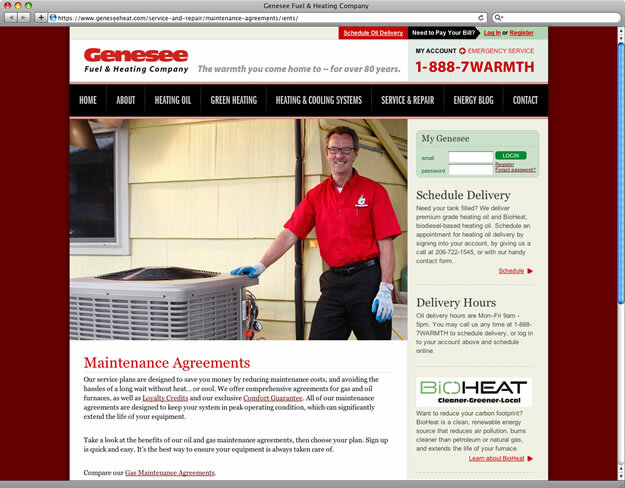 We also handled art direction, copywriting, and virtually every aspect of the project, ultimately delivering a confidence-inspiring website that transformed Genesee’s online presence to top-of-category.